The Holy Week Festival at St John's Smith Square is approaching its conclusion, on Good Friday (14 April 2017) saw three events at the church. We missed Stephen Layton and Polyphony's afternoon performance of Bach's St John Passion, but we caught the evening performance from David Skinner and Alamire, Thomas Tallis: Songs of Reformation and the late evening service of Tenebrae for Holy Saturday including Nigel Short and the Tenebrae Consort performing plainchant and Victoria's Tenebrae responsories for Holy Saturday. As part of an all-Tallis programme, David Skinner and Alamire presented the first public performance of Skinner's re-construction of Thomas Tallis's See, Lord, and behold, the contrafactum of Tallis's Gaude gloriosa dei mater produced with words by Katherine Parr for a service in 1544 supporting King Henry VIII's expedition to France. The group also performed Tallis's Litany written for the same service. And alongside these were a group of Tallis's Latin motets and a group of his English anthems. For some items the nine members of Alamire (Camilla Harris & Kirsty Hopkins sopranos, Helen Charlston & Hannah Cooke altos, Nicholas Todd & Simon Wall tenors, Tim Whitely baritone, William Gaunt & Robert MacDonald basses) were joined by five choral scholars from the University of Cambridge (Helena Moore, Zoe Lakota-Baldwin, Oliver Clarke, Toby Ward, James Bartlett). The first half was devoted to Tallis's Latin church music, David Skinner opened the programme with all 14 singers performing Tallis's Videte miraculum. The choir made a richly characterful, strong sound, with a really vibrant yet fluent sense of line. What came over in all the music was the sense of ease that the singers had with this repertoire. For the remainder of the first half, the performers were taken from the nine singers of Alamire. I have to confess that I am more familiar with Sheppard's setting of In manus tuas and it was wonderful to hear the lovely calmness created by the singers in Tallis's setting, along with some spicy false relations at the end. Sancte Deus, in a concentrated yet vibrant performance, was striking for Tallis's use of a series of short phrases, rather than long melismatic passages. The responsory Sancte Deus was performed with altos on the top line, and the singers gave the piece a lovely sense of intimacy. O nata lux, sung by all the ensemble, seems simplicity itself, yet is so perfectly constructed. In contrast the late In ieiunio et fletu uses harmonic shifts which seem to reflect Continental ideas from Lassus, and was here sung without altos and with the second basses going down to low D, creating a strikingly dark texture. David Skinner had introduced the programme, and before the final item in the first half, Miserere nostri (which seems to be a collaboration between Tallis & Byrd), he gave a brief yet lucid analysis of the piece. Despite the complexities of its construction, with multiple simultaneous canons, Miserere nostri has a sense of effortless beauty which was well captured by the singers. For the second half we moved to Tallis's music for the reformed Protestant church of King Edward VI, where the English words were paramount. It is in these short anthems, that Tallis showed the flexibility of his genius, able to use small yet telling gestures to create enduring masterpieces. O Lord, give thy Holy Spirit demonstrated Alamire's fine combination of strong tones music lines with clarity of diction. Then the eight men of Alamire and the choral scholars performed If ye love me in its original low key (designed for a church where choir schools no longer were prevalent) with tenors on the top line. This made a surprisingly rich, dark effect with a lovely fluency from the top tenor line. Purge me, O Lord was simple yet very effective, whilst O Lord, in thee is all my trust was a vigorous, triple time piece. Verily, verily I say unto you seemed rather more complex in construction yet still with the words being paramount. All 14 singers returned to the stage for Thomas Tallis's The Litany of 1544, a setting of Thomas Cranmer's new English litany which was Tallis's first attempt at a large scale English liturgical work. The setting is simple, with Tallis adhering to Cranmer's dictum of one syllable for one note, and the words were indeed very clear. Yet Tallis also had the gift of choosing the right harmonic and melodic gestures, so the the music was highly effective. The piece is long, and inevitably repetitive so Alamire performed it in a slightly shortened version, but we were still able to enjoy such lines as 'From all sedition, privy conspiracy; from the tyranny of the bishop of Rome, and all his detestable enormities'. And it was notable that the litany prayed 'That it may please thee to keep our noble Queen Catherine in they fear and love, giving her increase of all godliness, honour and children'. This was followed by See Lord, and behold, Tallis's contrafactum using a text from Katherine Parr's Psalms or Prayers which was created for the same occasion as The Litany (thankfully we did not hear Thomas Cranmer's sermon which was written for the same occasion). Tallis based See Lord, and behold on an earlier version of Gaude gloriosa dei mater than we are used to, confirming that the Latin motet does indeed date from the reign of Henry VIII though the final version that we have comes from the reign of Queen Mary I. See Lord, and behold is textually far more meaty than Gaude gloriosa dei mater, gone are the long early Tudor melismas and it was clear that the group is still getting to grips with the words. When they record it in May they will be using Tudor pronounciation but we heard it in modern English. This was as strong and vigorous performance, as befits a setting of words like 'Stande up (O lorde) and punishe this naughtie people, and delyuer me from deceitfull enemies', rising to a superb climax at the end. For an encore we heard O nata lux again, this time sung with all 14 singers. 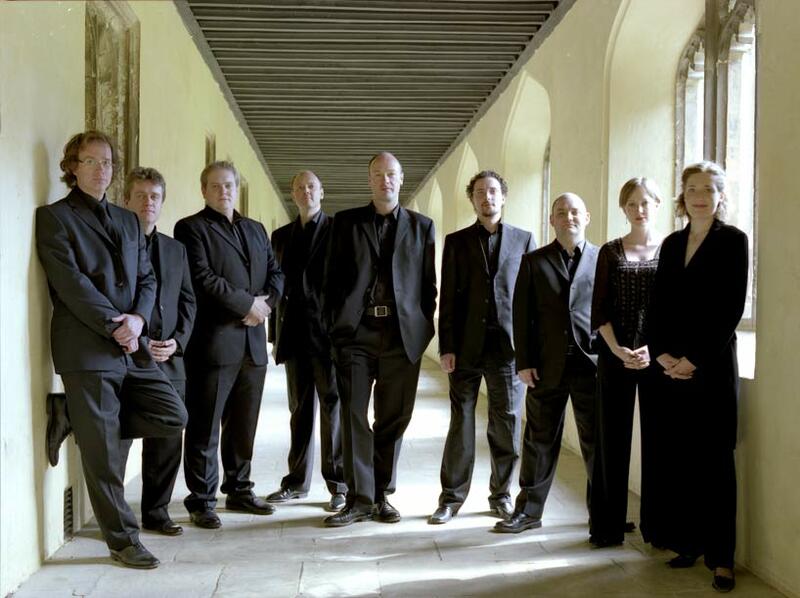 Alamire's disc Thomas Tallis: Songs of Reformation will be released in the Autumn. After a pause for change-over, we returned for the service of Tenebrae for Holy Saturday conducted by cleric-in-residence Paul Dominiak, with the Tenebrae Consort, conductor Nigel Short. The service was conducted, as it should be, by candle-light and during the service the candles are gradually extinguished until finally there is only one, and by its light all depart in silence. Tenebrae is a striking and thoughtful service, and presenting it took advantage of the fact that St John's Smith Square is still a consecrated church. It was satisfying to hear the Victoira Tenebrae responsories for Holy Saturday performed in a liturgical context with each responsory following a reading, and surrounded by a fine array of plainchant, all sung with quiet authority by the Tenebrae Consort.